The Suresign Resure Blood Glucose Monitoring System is designed for the quantitative measurement of glucose in capillary and venous blood by patients self-testing. Finger tips, forearm or palm samples are all suitable to run the Resure test. Test strips available in 50 test canisters. Test strips available through Fp10. Find out more about the company behind our brands. From Suresign to Checkpoint CIGA Healthcare is one of the UK’s leaders in Rapid Test Diagnostics. Discover our OTC range of products for home testing. From pregnancy to blood pressure Suresign OTC is one of the UK’s leading rapid diagnostic brands. Learn more about how Suresign are tackling the ever rising subject of diabetes. Includes information on our diabetes testing & advice on how to manage your condition. Suresign specializes in rapid point of care diagnostic tests and devices for the healthcare sector, the product range includes urine analysis, family planning tests, as well as rapid diagnostic tests to screen for drugs of abuse, infectious diseases and cancer markers. 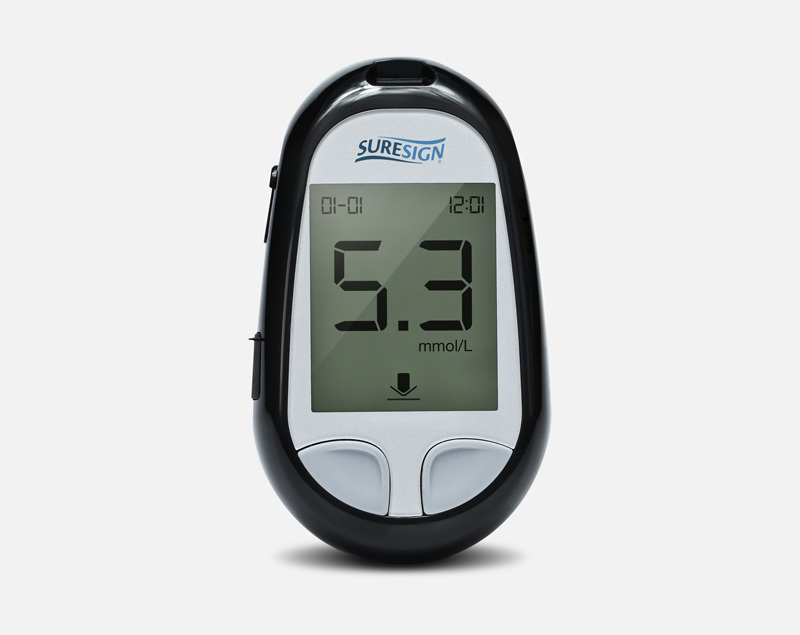 Suresign also supply a range of clinical laboratory tests & have a range of diagnostic devices to monitor blood glucose, hemoglobin & coagulation. Award winning & preferred supplier to the NHS UK & HSE R.O.I. the Suresign Professional brand gives healthcare professionals the potential to rapidly diagnose patients at the point of care, reducing time to treatment initiation, resulting in better outcomes. Information provided on this site is for general use only. If you have any concerns about any aspect of your health you should consult a healthcare professional for further medical advice.